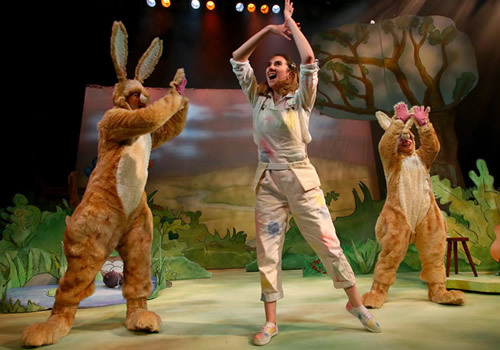 Based on Sam McBratney’s beloved children’s classic Guess How Much I Love You, Selladoor Family bring a sparkling new stage adaptation of the book to the stage. Playing a festive run in the West End before embarking on a dazzling UK tour, the production plays at London’s Arts Theatre for a strictly limited 4-week season. 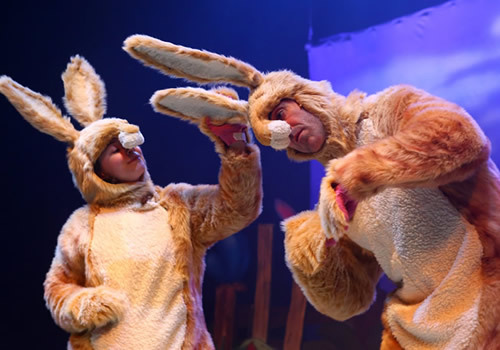 Join Little and Big Nutbrown Hare as they jump off the pages and onto the stage, in a live, magical journey that is perfect for tiny theatregoers. 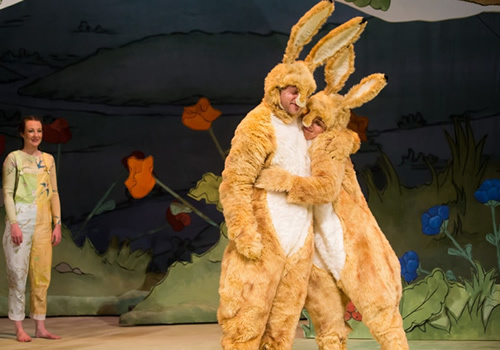 As the pair settle down after a bedtime story, they wake up to discover the vibrant delights of each season, as they compete to measure their love for each other in what has become a classic, loveable story. 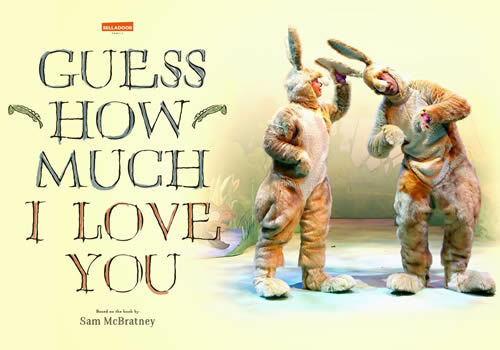 An interactive tale brought to life with enchanting puppets, live music and plenty of love and laughter, Guess How Much I Love You features a cast including Penny Dyer as Little Nutbrown Hare, Matthew Crouzieres as Big Nutbrown Hare and Emily-Jane Ashford as Mother Nature. From the creators behind James and the Giant Peach, The Quite Remarkable Adventures of the Owl and the Pussycat and Seussical, this is a guaranteed hit with young ones. 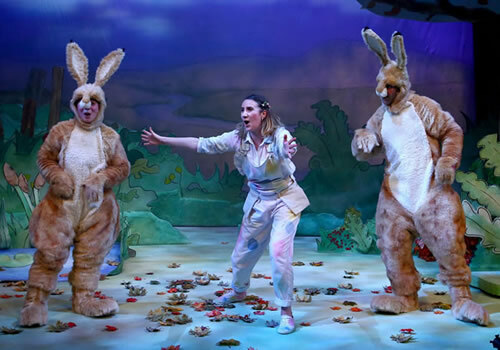 Adapted from Sam McBratney’s original novel, which features illustrations by Anita Jeram, the hugely fun play is a heart-warming tale of love that is perfect for cold winter days. Guess How Much I Love You plays at the Arts Theatre London for a limited season, from December 6th to 31st 2017. Guess How Much I Love You is recommended for those aged 3 and up. Children under 18 months are allowed in free-of-charge, but will not be allocated a seat. All children over 18 months must have their own ticket.